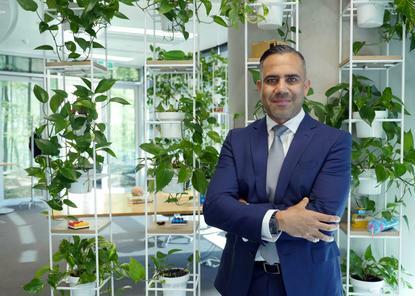 Former managing partner and chief strategy officer of Publicis Worldwide (India), Sudeep Gohil, has been named KPMG Australia’s head of brand strategy. Based in Sydney, Gohil will play two key roles: Helping clients with brand strategy as part of the Customer, Brand and Marketing Advisory (CBMA) business; and working with the firm, providing strategic guidance to KPMG’s own brand and market positioning. Gohil has more than two decades of experience in leadership roles at agencies including BBH, Wieden + Kennedy, Droga5, 72andSunny and Publicis Worldwide. He has blended agency management with client work, supporting business transformation and shaping brand strategy for organisations including Netflix, Nike, Coca-Cola and Unicef. Most recently in Australia he was co-founder of health-tech startup, Tyde, which he founded following eight years at Droga5, where he was also CEO and founder of their Sydney office. Australian born, Gohil’s career has taken him to Mumbai, Los Angeles, London, New York, Singapore, Tokyo and Portland. KPMG CBMA partner-in-charge, Paul Howes, said he’s thrilled to be bringing someone with Gohil’s global experience and perspective onto the KPMG team. Gohil is the latest industry leader to join KPMG’s CBMA business since it was established in July 2017 as it has grown to more than 100 specialists including the recent acquisition of UDKU. He joins other arrivals including Andrew Baxter (former Chairman of Publicis Communications), partners Carmen Bekker (ex-JWT), Amanda Hicks (Acuity), Lisa Bora (ex-Google), Mark Hassell (ex-Virgin Australia); directors Karen Halligan (ex-Zenith), Louise Pogmore (ex-One Green Bean), Melanie Evans (formerly GM of Business to Business IT at Telstra) and Ross McLelland (formally head of Customer Research at Telstra). KPMG Australia national managing partner brand and engagement, Margaret Cowle, said Gohil “will play an important role in shaping KPMG’s own brand in Australia”. Gohil said he’s pleased to be joining the team at KPMG, and happy with his decision to move back to Australia.